We are just hours away from the official launch of the Google Nexus 6 made by Motorola and with it will be the fresh Android L 5.0 software running for the OS. Moments before the unveiling, the GooglePlex crew are releasing a 30 seconds amusing advertisement with comes with the statement “all kinds of phones for all kinds of folks” followed by Android : be together, not the same. It marks the first real attempt at gaining some of the market share this fall. We are hearing nothing but Android 5.0 software talk every day and it’s been that way for the last few months as the final stages of Android KitKat have a lot to be desired. There’s been a lack of feature since the Android 4.4.2 KitKat update that came with transparent status and navigation bars, wireless cloud printing, improved landscape keyboard, new color Enoji keyboard, full screen album art from the lock screen, move art from the lock screen, immersive mode and more. 4.4.3 brings a few tweaks and 4.4.4 came with the fix for the Open SSL bug , a revamped phone dialer and some additional minor tweaks. As you may know, Motorola have the official rights for making the new smartphone and it’s HTC who are making the nexus 9 tablet. That’s interesting since Google sold Motorola last year to Lenovo so they are no longer a Google company. However, the folks over at Mountain View know the inner circles and much of what goes on so they are confident with sticking with Motorola for this year at least. 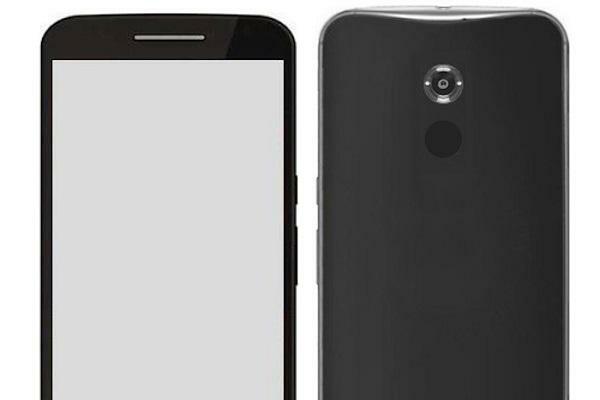 So far the evidence suggest that the new flagship under the nexus name for 2014 is coming with a Qualcomm Snapdragon 805 SoC, Quad core, 2700 MHz, Krait 450 processor, 13 megapixel dual LED flash rear-facing shooter, 3072 MB RAM, 5.9 inch physical display, 1440 x 2560 pixels resolution, 496 ppi pixel density and Adreno 420 graphics.